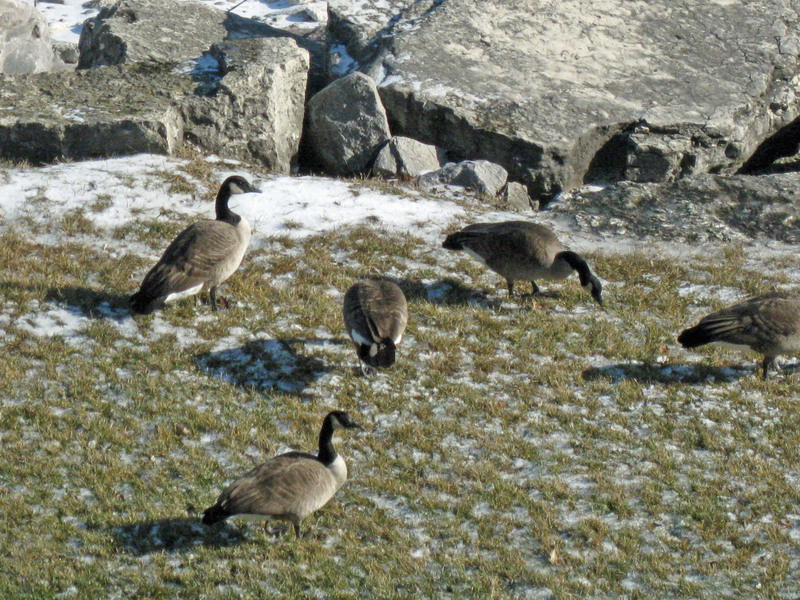 When I wrote last week’s blog post, I talked about the geese enjoying al fresco dining on our front lakeside lawn. Even posted photos of the diners. Like most everyone else, they enjoyed the weather for outdoor eating and must have been pleased by what the chef provided. Well, Sunday night changed everything. Nary a goose has visited their formerly favorite food hangout. In fact I can report they’ve gone out of business. Maybe our township reminded them of zoning laws and slapped a hefty fine on the place Or closed it down until the goosey managers separated the dining experience from the pooping place. Or perhaps what caused the diner’s demise was the weather change. Sunday night brought sustained high winds with gust of over 50 mph. Rather difficult to eat much less poop in that kind of wind. 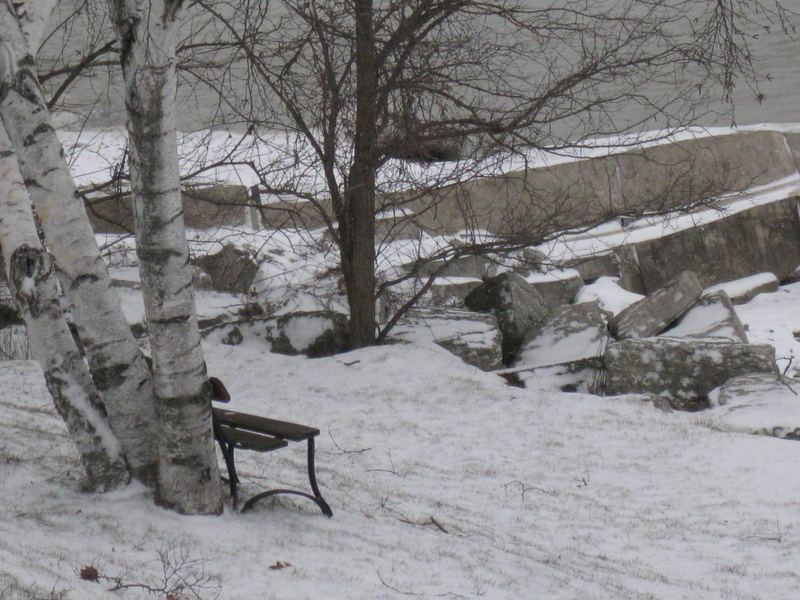 Especially when said wind whipped up the lake water’s waves which kept washing over the dining area. But worst of all was the drop in temperatures. We went from unusually warm to Arctic cold. 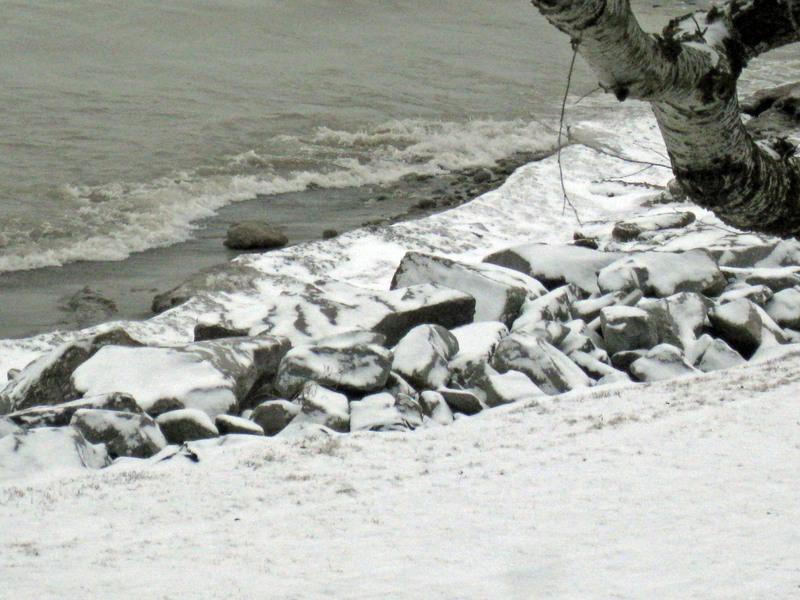 Even the geese leave the Arctic come winter. So this week we endured very cold temps and until the past few days very high winds which made those dreaded wind chills more relevant to place like Nome, Alaska or Siberia in January. In case you’re thinking I only have geese on my mind, or ice and cold temps, there’s more. 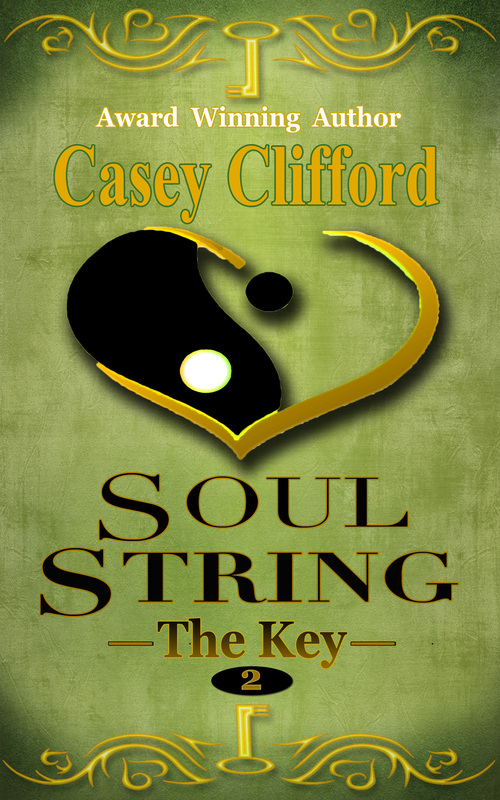 This week the second book in the Soul String Saga, Soul String: The Key when live in all digital formats except KOBO. They promise me that will be resolved. Maybe about the time spring comes? But I’m posting my beautiful cover here today and working on revising the next book in the series which should be out in mid to late February. What? You can’t wait? Waiting teaches patience. Patience is good for you. That’s what my mom ALWAYS said. After all, think of all those football fans who have to wait till next year cheer their team on for the Super Bowl. Actually, since my team didn’t make it, what I’m looking forward to is those commercials. What are you waiting for this week? Anything? First diner. First day. 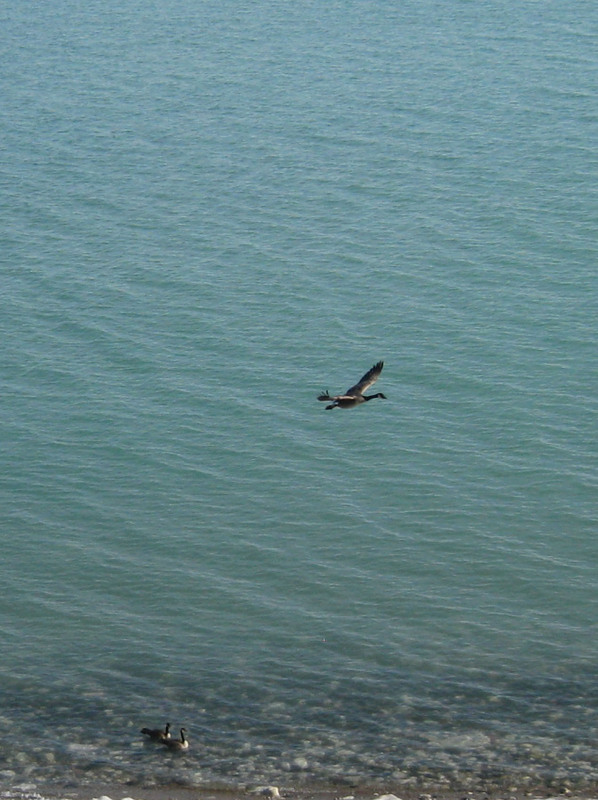 Coming in for a landing. Not that the residents in my neighborhood like this new business in our front yard. After all, the customers have absolutely no concern about where or who see them squabbling, pecking at each other, napping in their serving platters, pooping on their tables. The first day business was slow. 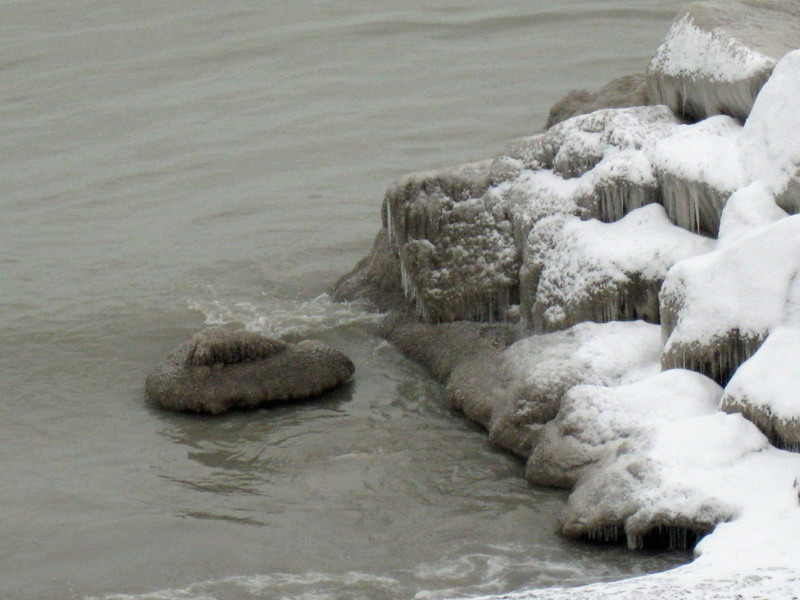 Maybe the few remaining patches of ice kept the less hardy flyers from dropping in and skidding into the diner. But by day 3? The word had spread. Business tripled and the noise has also. Sundown doesn’t stop these long-necked die hards. They plan to be first in line for landing early for breakfast so they’re camping out on the lake. And they gossip loudly all night. Where are the goose police when tired neighbors make their SOS calls? 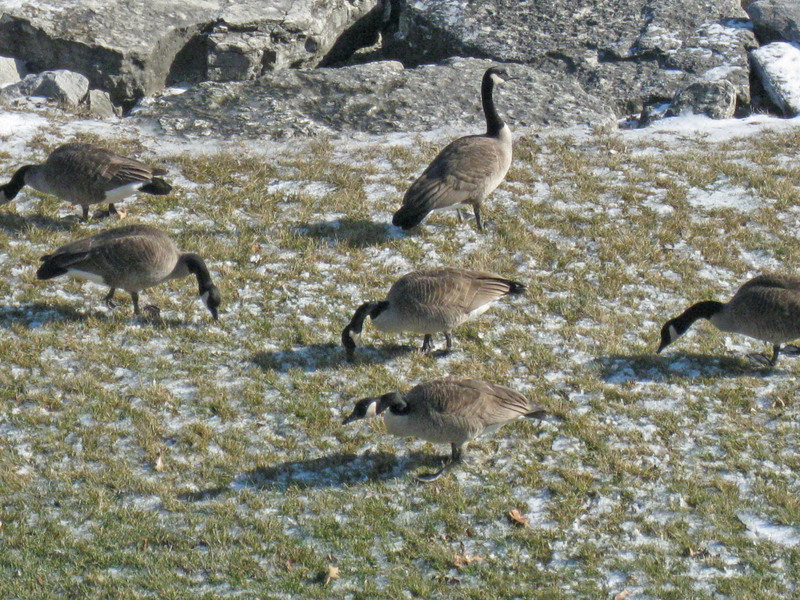 Actually, I’ve always appreciated seeing flocks of Canadian geese flying north in Spring. But proximity is NOT breeding stronger admiration. Stronger disgust maybe. 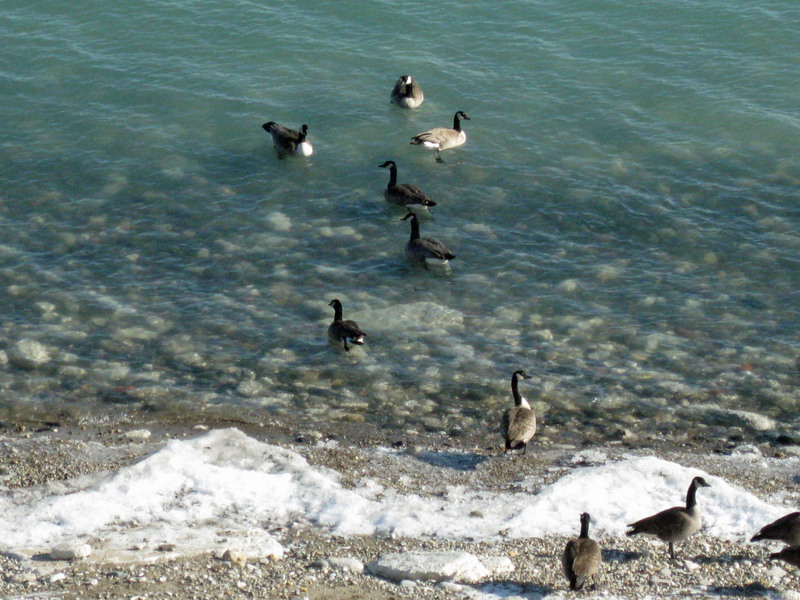 Especially when I consider what these gossipy poop producing, feathered diners are doing to our lakeshore grass and beach. I’ll be sure to provide an update come late spring. Finally, I must apologize for being AWOL lately. A couple days after Christmas I came down with a nasty bug which was really laid me low, listless and barely moving most of the time. Thus I’ve had the time to watch the geese at the new diner. So folks, wish me luck this week as I continue working on Book 3 of Soul String. Book 2 will be available this week. Aren’t you glad I’m baaack?